If riding in a dusty arena makes you uncomfortable, just think how your horse feels. A few comparisons to understand just how much more oxygen a horse is taking in: the average human consumes roughly 19 liters or 5 gallons during light activity such as lunging and light riding. The average gas can that you will your lawnmower up with, are 5 gallons. Meanwhile, while a horse is in a walk, they consume 50-70 liters or 13-18 gallons per minute depending on their size. They’re consuming roughly 3 times the amount of air that we are. During a heavy workout such as running a race or playing a sport, a human consumes 80 liters per minute or 21 gallons. This amount could fill a commercial size garbage can. When a horse is at their peak, let’s say a thoroughbred running a race, they consume 1350 liters per minute or 356 gallons! An average bath tub holds 60 gallons, the amount of oxygen that a horse uses per minute when galloping equals almost 6 bath rubs full of oxygen. It makes us uncomfortable to breathe in the dust, so why do we let our horses do it? Not only should you be concerned about your health when you’re in a dusty arena, but your horses too. When working hard in an arena with dust, an increase in inhalation allows for dust to get deeper into your respiratory system. Horses have hairs inside their nostrils, just like us, to filter out debris. Further in their respiratory system, they have moist mucus membranes that help to capture and filter foreign material. This membrane lines the twists and turns of the airways of the horse. If the dust is captured in this part of the airways, it will be pushed back out through a sneeze or a runny nose. It can get pretty thick inside their nose, which is when you can notice a horse sneezing often when riding. If dust surpasses this defense, it will go into the tracheal and bronchial tubes. It can however end up deep into the lungs, which can cause major issues. Dust that comes from footing can contain iron, copper, magnesium and silica. Once these particles enter your airways and your horse’s, they function as foreign bodies and cause inflammation in the lungs and airways. This inflammation can lead respiratory infections or heaves, or even turn into silicosis. Silicosis is a lung fibrosis caused by the inhalation of dust containing silica. Providing a safe riding environment for both you and your horse is important to both of your health. Coatings are the newest ways that horse facilities are battling dust. These can be sprayed on, mixed in, or come already premixed into your footing. There are two different types of coating that you will see on the dust free footing market: Natural Coatings and Synthetic Coatings. CaCl: Calcium Chloride or CaCl is a salt dust suppressant. Using salts in your arena are supposed to pull the moisture from the air or when you water it, and hold it in the salt flakes to keep your footing at the correct moisture level to stop dust. Although this seems like a great idea in theory, there are many issues with it. If you are using the salt in an outdoor arena, you may need to reapply the salt every 6-8 weeks depending on how many rain storms or thaws you get. The ground can soak up this salt, or it can run of into the surrounding of your arena and can ruin the vegetation surrounding your outdoor arena. A second issue is that it has to be applied exactly as they describe to on the bag. If you water it too much in the installation process, you can create a soupy mess in your arena and if you water it too little, it won’t hold the moisture. When having a salt dust suppressant, you need to make sure to always wash your horses’ legs and hooves off after riding in the arena. The salts can stick to the horse’ legs and hooves, and can pull necessary moisture from the hoof. You even should wash off your riding boots if you’ve been walking around in the arena, it could ruin the leather of your boots. It is also suggest that machinery in the arena should be washed every few uses. The salts can break down and corrode the metal on the machinery. Salt dust depressants can work in certain situations, but can also be a hassle. CaCl can cost up to $2,000 per year to fight dust. MgCl: Magnesium Chloride or MgCl is also a dust suppressant. Magnesium Chloride also comes as flakes for your arena. Magnesium Chloride has a different molecular weight in comparison to calcium chloride. Calcium chloride weighs more, so more MgCl needs to be applied to an arena than CaCl. More water molecules will attach to MgCl in all temperatures than CaCl. MgCl has the same issues that CaCl does, and once again only lasts about 6-8 weeks in an outdoor arena. 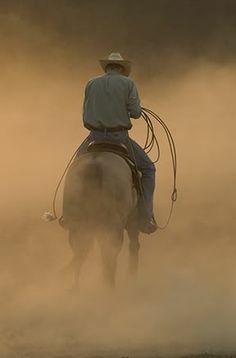 Although such dust suppressants are on the cheaper side of controlling dust in your arena, many experts advise against using them because of the harmful effects they have on your arena, machinery, and horse. MgCl will cost about the same as CaCl salt for keeping dust down. Vegetable Oil: vegetable oils are always a tricky form of dust suppressant. You will see a few familiar vegetable oil products such as soybean oil, cottonseed oil and canola oil used as dust suppressants in the horse industry. Vegetable oils are normally sprayed on the top of the footing and then worked into it with a groomer. They typically last a few weeks, lasting longer obviously in an indoor arena. When purchasing vegetable oils as dust suppressants, it is important to get the MSDS sheet for the product you chose. The oil should be clean and unused prior to application. If the correct precautions are followed, vegetable oils are safe and biodegradable. Vegetable Oils can run anywhere from $2,000-$5,000 per year. Wax: Wax is one of the most efficient choices when battling dust. Typically wax arena footings come premixed and ready to install as a standalone surface. The wax coats the sand particles and fiber additives, but maintains some moisture level for decades. This perpetual moisture attracts any dust particles that may form as the surface wears over years of use. The particles are weighed down, effectively eliminating dust and the need to water. This moisture content also has the advantage of stabilizing the arena footing to provide a consistent riding surface throughout the arena and through the years. This stability has the additional advantage of controlling the amount of footing migration lessening the need for time consuming maintenance. Though wax coatings can represent a larger upfront cost many arena owners find that the longevity and reduced maintenance cost of the footings, not to mention health benefits from a permanently dust free riding environment, make it a worthwhile investment. Footing that has a coating, is almost always mixed off site. Most footing manufacturers will have a specific place where they purchase their sand and then will mix in what other additives are in their footing recipe. When mixing off site, the polymer is blended with all components of the footing recipe, instead of sprayed on the surface like other coating options. It then is shipped to you in large industrial bags or shipping in bulk. A common misconception is that if you add fiber into your footing it will stop the dust. This is incorrect. Fiber helps to hold the footing together and create a stable surface, but it does not help with dust. There needs to be some sort of additive in the footing that holds moisture or the footing has some sort of coating. Fiber will not hold moisture and will not do anything for dust. Please check our additive section to understand the different options to help with dust.